The ERASMUS+ funded project Co-Create aims to raise awareness, highlight facts and disseminate current developments in co-creation and co-design. “In just 1 year #ChangingCARE has engaged with 450 #caregivers and 600 providers across 4 projects in #OnHealth. We’ve created a report to help guide others in their engagement and #codesign efforts. Learn more: https://www.changefoundation.ca/lessons-changing-care/”. “Do you want to participate in #DDW18 but missed the deadline for registration? Don’t worry! We postponed the deadline to 31 July! Check http://ddw.nl for more info and registration”. “We live in a world that is more connected than ever. As the interdependent nature of today’s problems become recognized, public and private sector organizations are increasingly turning to co-design for structured collaboration. Intergovernmental units like Denmark’s MindLab and the UK’s Policy Lab have been set up to involve stakeholders in decision-making, from early problem-definition, through to prototyping, testing, and measurement. Still, for many co-design remains a puzzle. What exactly is co-design, what does ‘involvement’ really entail, and which projects are best-suited to co-design?”. Read more at: http://pivot.design/2018/05/09/co-design/”. 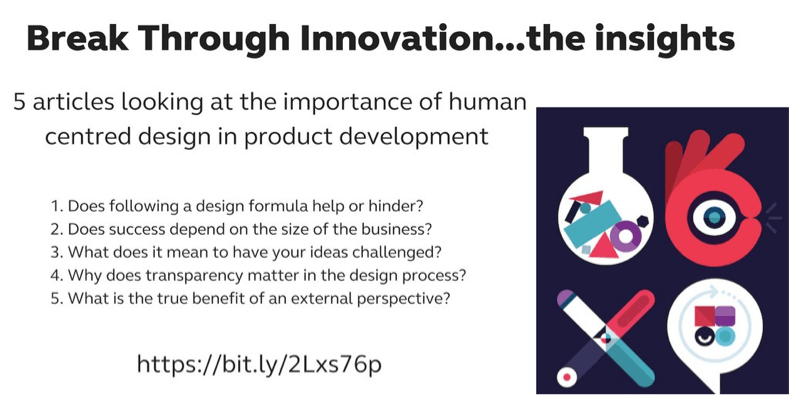 Jul 18, Innovate UK: What does it mean to have your design challenged? “(…) This article is part of a series of articles looks at five stand-out insights of the day, which illuminate both the perceived challenges of going through a human-centred strategic design process and the lucrative results it can produce. In part three of this series we asked, what does it mean to have your ideas challenged?”. Read more at: https://ktn-uk.co.uk/news/what-does-it-mean-to-have-your-ideas-challenged .